Cream leather Afghan hound key fob with chrome chain and split ring will appeal to all lovers of this magnificent breed. 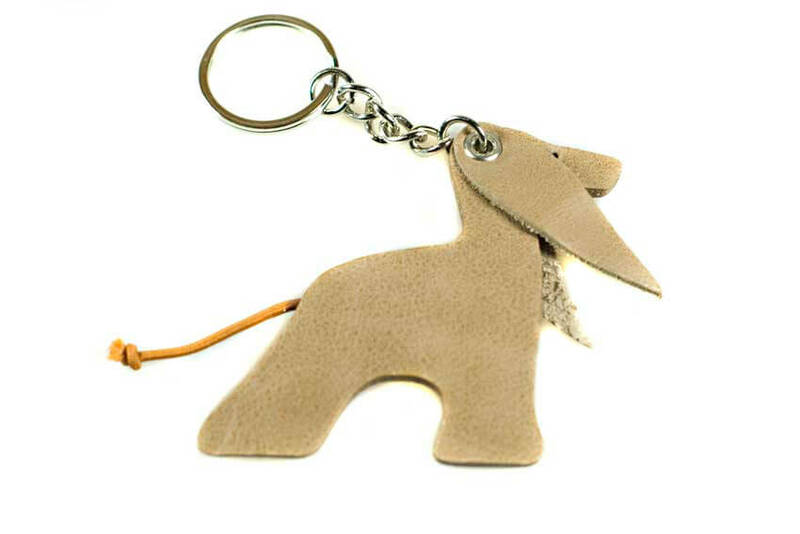 Our self masked cream Afghan hound key chain is an excellent example of the breed, complete with a prefect ring tail. 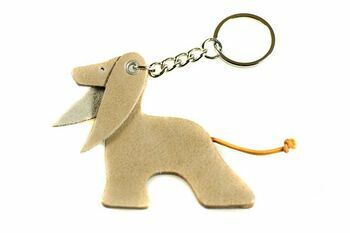 He will make ideal low maintenance pets and will faithfully look after your house or car keys. 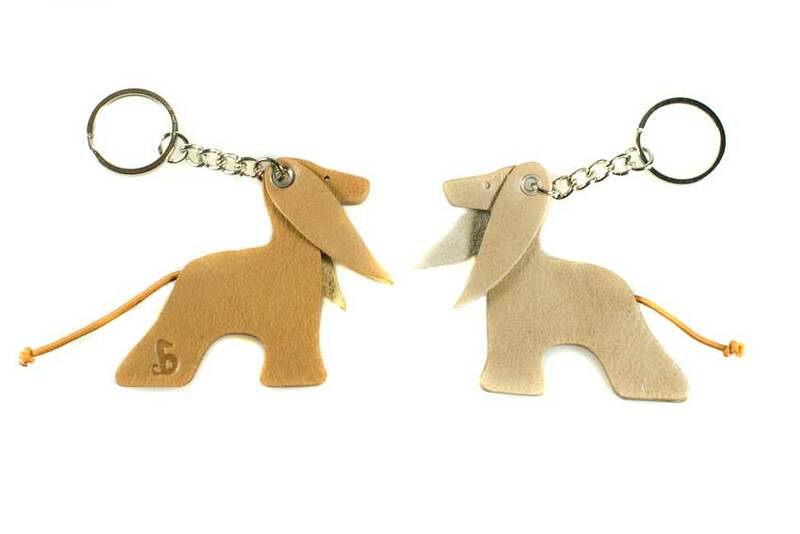 Afghan hounds come in a wide range of colours and our leather Affie key ring is no exception - please browse our shop to see the whole range of key rings, fobs and bag charms. 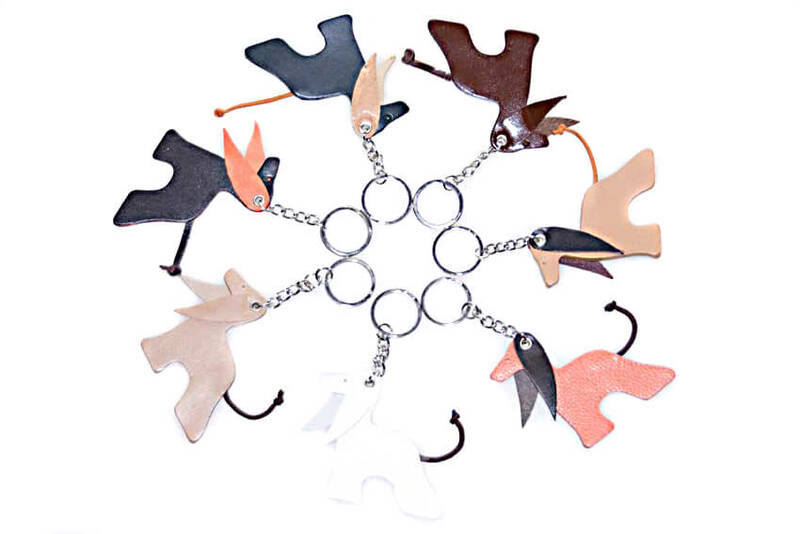 Made from luxurious full grain leather and stainless steel split ring.